Our mission is simple: to provide healthy and appetizing meals to all who come to us -- to the poor, the hungry, and the lonely. We also deliver these same meals to area shut-ins. In fulfilling this mission we are constantly reminded that when we show mercy to the least of God's children, we show mercy to Jesus Christ Himself. We serve meals...as Jesus Christ asked us to feed the hungry. The Soup Kitchen is a center for ministry to our guests, to our volunteers, and to the greater community. Our work is a work of compassion as we strive to recognize the worth and value of each individual. 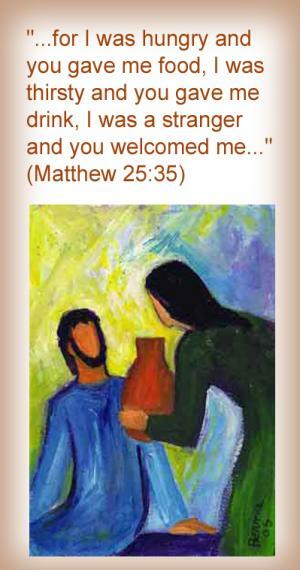 It is just one of the ways we respond to God's generosity to us. by Christian churches in the Wildwood, Florida area. The Wildwood Soup Kitchen provides meals at no cost to our guests; but it also provides a place of hospitality and companionship for those in need, regardless of their faith. It is sustained by compassionate and committed volunteers, and by the generous contributions of donors. The Wildwood Soup Kitchen is truly one of God's ongoing miracles, for He always provides whatever we need when we need it. To achieve this mission our volunteers are involved in a host of activities beyond just preparing and delivering meals. It includes participation in food drives; collection of food from many churches, businesses, organizations; sorting and storing food; distribution of food to our partners and other organizations; and working with welfare related organizations to support those in need. These activities are continuous to enable the soup kitchen to operate on a daily basis. Our pickup drivers bring some donated food to the soup kitchen. Sorters screen and organize the food, cooks and kitchen helpers prepare and serve meals, and our route drivers deliver meals to the shut-ins. 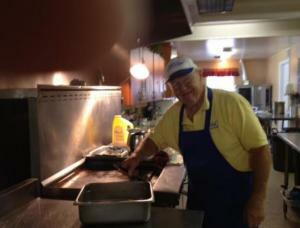 Our volunteer cleaners ensure that the soup kitchen is always clean and ready to prepare safe meals. We have volunteers who coordinate all these activities.